Owing in large part to the fact that I just plain love my husband, and that after 18 years dwelling in it with neither of us going stark raving mad, I’m a big fan of the institution of marriage. In so many ways, we are very much opposite. I break out into a cold sweat at the spectre of being anything less than 10 minutes early for an engagement; my husband is opposed to being on time on some deep, cellular level. I would rather get all my work done early in the morning so I can chill in the evening; he would rather put the pedal to the medal later in the day after relaxing in the morning. And so it goes. Still and all, we like each other mucho. Having that one person you can turn to when everything else is chaotic or otherwise messy is a comfort unlike any other. 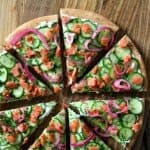 While we have our differences, we have a list longer than both of our stubborn streaks of things we love and share; Faith, Family, and Food, just to name a few… You see that Smoked Salmon Cucumber Pizza up there? That’s all kinds of us. This is our date-night-in food, folks. 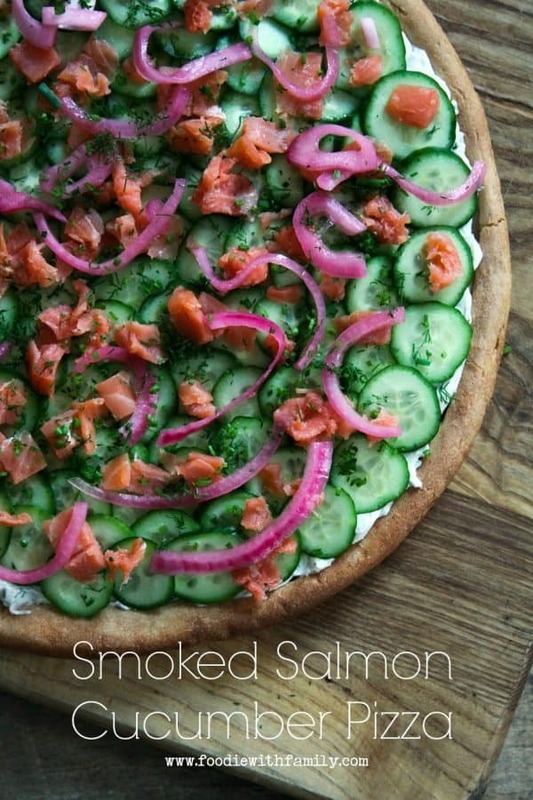 Smoked Salmon Cucumber Pizza is food-o-love. It’s ridiculously easy. You can start with a homemade pre-baked pizza shell or a purchased one. I prefer whole wheat for Smoked Salmon Cucumber Pizza, personally. You spread it lavishly with lemon dill cream cheese, sprinkle with minced chives, cover with thin slices of English cucumbers, then scatter pieces of smoked salmon, pickled red onions, and chopped fresh dill and parsley. Cut into wedges and El-done-o. 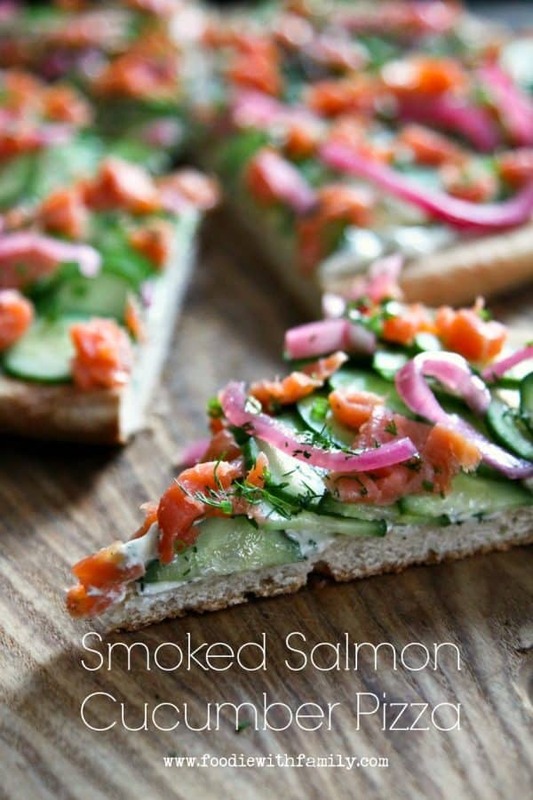 Dinner is done in the form of Smoked Salmon Cucumber Pizza with plenty of time for romance. We serve this as often as an appetizer for parties as we do for our date nights. What can I say? We’re flexible like that. Truth: if I make this for company, I’m absolutely going to sneak a kiss from my hubby and make googly eyes at him before I bring the platter out of the kitchen. I just thought you should know. There’s really not a lot to mention here. Make sure you let your pizza shell cool completely before you spread it with the lemon dill cream cheese. English cucumbers are pretty widely available. Some stores market them as seedless cucumbers. Around here, they’re usually shrink wrapped in plastic to help them keep fresher for longer. You can either pull the smoked salmon into bite sized pieces with your hands or use a knife to do the job. It will cut or flake more easily if it’s well chilled. Leftovers? Wrap them tightly in plastic wrap and refrigerate for up to three days. This is really tasty leftover. The crust will soften, but that’s not a problem here! Spread the lemon dill cream cheese to within 1/2-inch of the edges of the crust. Scatter the chopped chives over the cream cheese. Arrange the thinly sliced cucumbers over the cream cheese. Scatter the flaked salmon over the cucumbers, then the Quick Pickled Red Onions, fresh dill, and fresh parsley. Cut into wedges or squares and serve. Store leftovers, tightly wrapped, in the refrigerator for up to 3 days. Now I have to tell you. All this love and marriage talk? It’s not just random. I am feeling extra lovey dovey because one of my good blogging buddies, Stephie of Stephie Cooks, is getting married next month. Oh my goodness. I loved my wedding and I adore Stephie. This post is my contribution to a food blogger surprise bridal shower for Miss Stephie who is just about to become a Sadie, Sadie Married Lady! (Stephie and I share a deep and abiding love for musical theatre, so I’m pretty sure she’ll get that reference…) Please indulge me an old married lady moment? May your wedding day be even better than you dreamed, full of people you love who love you, and a blessing to remember for the rest of your lives! I’ve got everything necessary to make this tonight. Thanks for this excellent idea! That is awesome! I hope you like it as much as we do! Aw, Julie!!! This has to be so emotional for you!! ♥♥♥ I thought ‘Funny Girl’ might be a Swope family favourite. You are women of taste, after all 😀 As for the onions, I’m happy to report they’re pickled and they don’t repeat on you or befoul your breath like raw ones do! They’re the perfect solution for people who love the crunch of raw onion but not the, er, after effects! Now… we’re relying on you for real time photos of Stephie leading up to the wedding!!! So you pretty much had me at lemon dill cream cheese. Can I join you two love birds for your next date night? Yum! 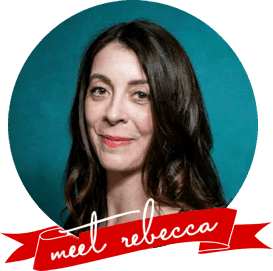 This is such a fun pizza, Rebecca! This is a very fun idea for pizza! I love the colors and the smoked salmon. These remind me of the little tea sandwiches I love, except the components are SO much better on a crisp pizza crust! Beautiful. Thanks so much for contributing. Your date nights sound lovely! It is super important to keep the romance alive after kids. All these flavors are amazing! I also have a love for musicals and totally got that reference. I just made my husband sit through Funny Girl as I sang every single song. hahah! I haven’t been able to get this pizza out of my mind since I saw it yesterday. YUUUUUM. 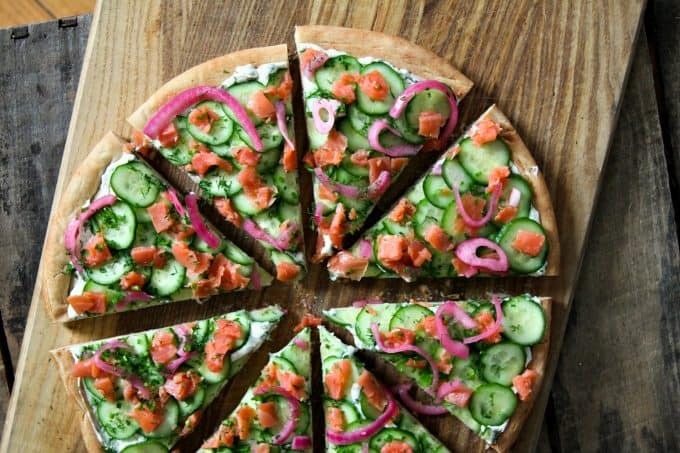 This is absolutely magnificent, scrumptious, delicious, super yummy smoked salmon cucumber-pizza. 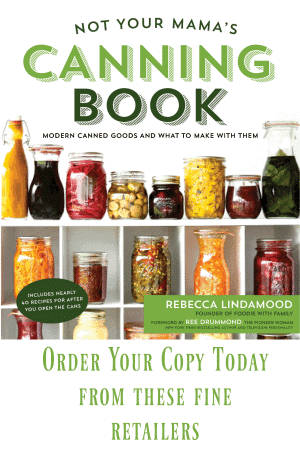 Thx for sharing healthy recipe, i definitely add it to my cookbook! That is the best! Thank YOU for the excellent five star review and I’m so glad you liked it!